 EvolutionLive is the class-leading online incorporation platform for accountants & advisers, saving valuable time from entering the same information multiple times across multiple places. Australia-wide, 1 in every 20 companies registered daily is through EvolutionLive's ASIC & document generation engine, with over 150,000 legal documents to date. Automated ABN registrations and digital signing are just a few of the steps that deliver you time savings & avoid re-keying data multiple times. 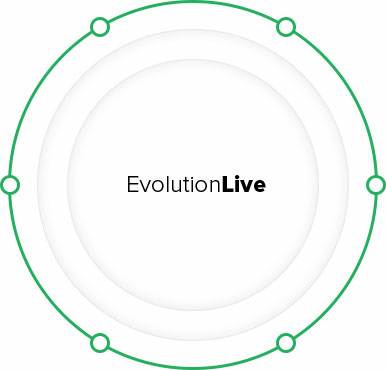 The EvolutionLive platform assists right from incorporating companies through to signing, executing deeds, and managing your clients changes and ongoing ASIC interactions. Choose from a large range of compliant company, trust & SMSF documents. Extensive integration of industry CRM, Practice Management and Document Management systems. 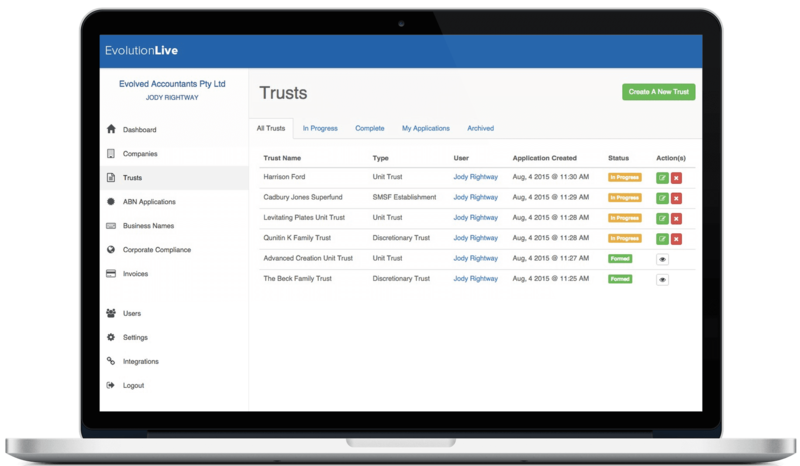 EvolutionLive takes care of registration across multiple government sites all from one form submission. Branded 'pre-fill' client portal enables your clients to enter the information necessary prior to lodging their forms & documents. Integrated system will ensure that your client is informed of any outstanding documents that required signing or action. Try EvolutionLive free today. No credit card required. Sign-up for instant access and no commitments to see how you can saving valuable time on your legal documents.